Over the weekend, we celebrated six years of marriage! Looking back to our wedding day, we wouldn't have ever believed what our first few years of marriage would hold. Quadruplets? Riiiight. But six years in, we wouldn't change it for anything. I'm so blessed to be spending my life with Sean! I wish you could each meet him in person. He is amazing! 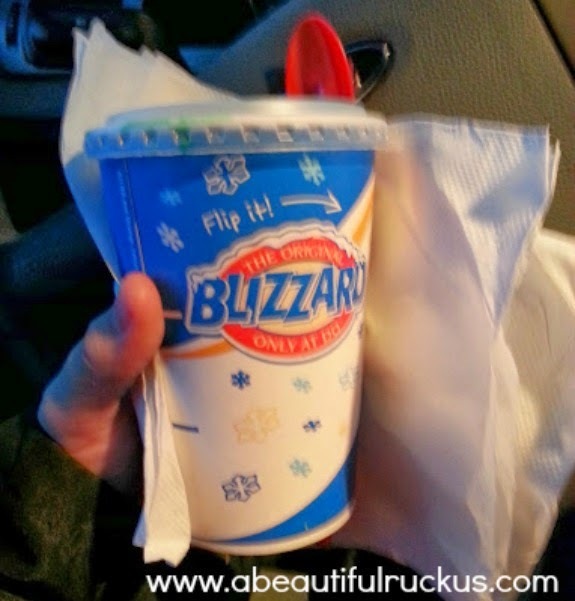 I love Blizzards! The ice cream kind! This week, Dairy Queen had BOGO Blizzards on St. Patrick's Day. The only catch? It had to be green! Well, it just so happens that my favorite blizzards are Mint Oreo Cookie. Happiness in a cup! 3. "Look! It's a baby!" We got to keep a friend's baby for an hour one morning this week. The kids thought it was kind of an interesting concept...the whole tiny human thing. 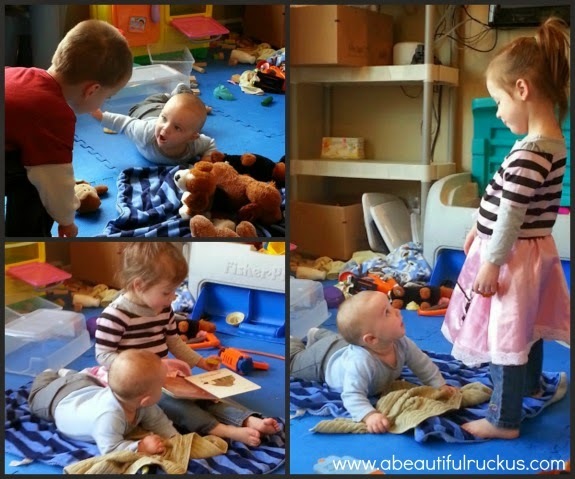 Abby especially loved having a baby around! She kept repeating over and over, "Look! It's a baby!" And then she proceeded to read him books, curl up with him on the floor, and pat him on the head. It was interesting to see what she would look like in a big sister role. Elijah also thought the baby was pretty neat! He kept running off to collect more toys and stuffed animals to share with him. It was really sweet to watch my kids love on someone smaller than them. 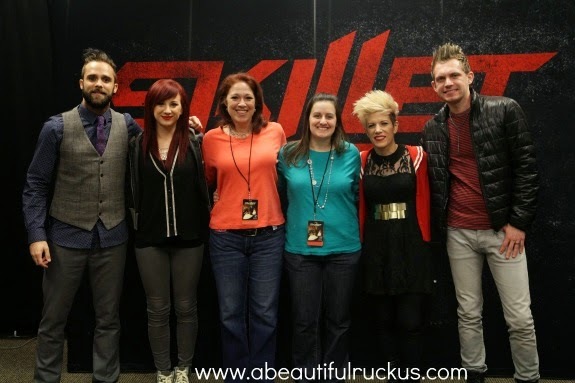 My friend, Jo, surprised me by buying us tickets to the Third Day/Skillet Tour that came through Kansas City last week. 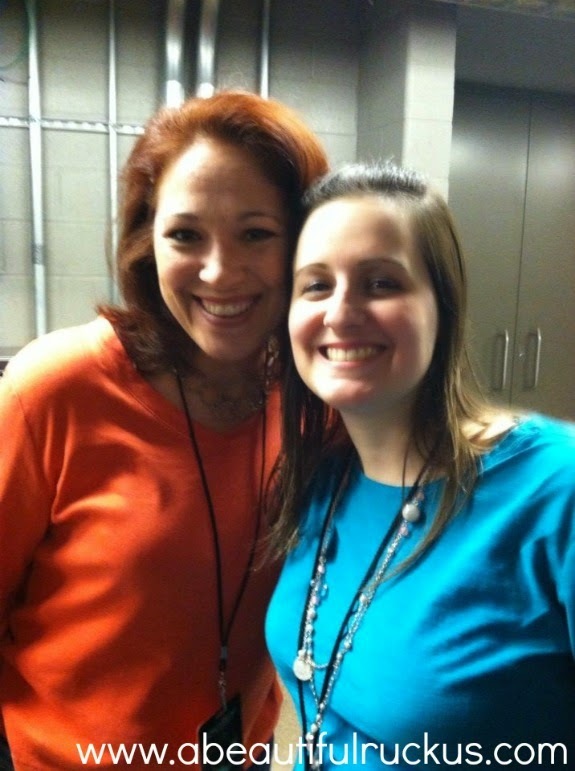 She decided to upgrade our tickets to VIP so that we could go to the Meet and Greet and sit in the 4th row. What?! Such a FUN treat!! The concert was awesome! 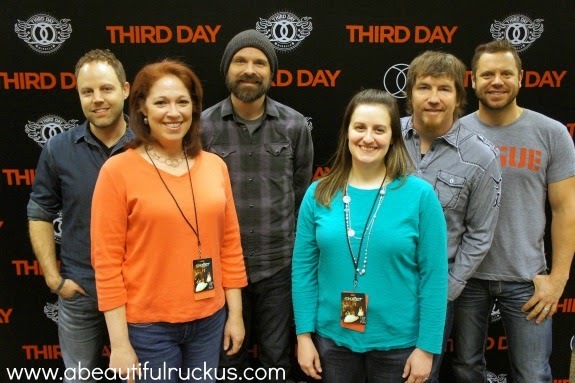 Third Day was definitely my favorite out of the six bands/artists who played (We As Human, Mandisa, Brandon Health, Peter Furler, Third Day, and Skillet). Go see them in concert if you get a chance! Sometimes videos are just more fun than photos! Elijah helped me mix up some bread dough today. Although he didn't say it for the camera, he kept repeating, "around and around and around." He thought my mixer was pretty cool! Eli seemed fascinated with the bread maker--cute video. My husband was off work yesterday because he started his new 4-day week schedule and we are happy about that! It brightened my day when I saw him waiting for me at the bus stop and brought the car too because it was a bit rainy. Funny how kids change the minute the camera pops out :) I'm sure it was SUPER fun to have the VIP meet and greet. Looks like a fun experience that's for sure. Congrats on 6 years of marriage! Here's to another 50 at least! You had a lovely week!